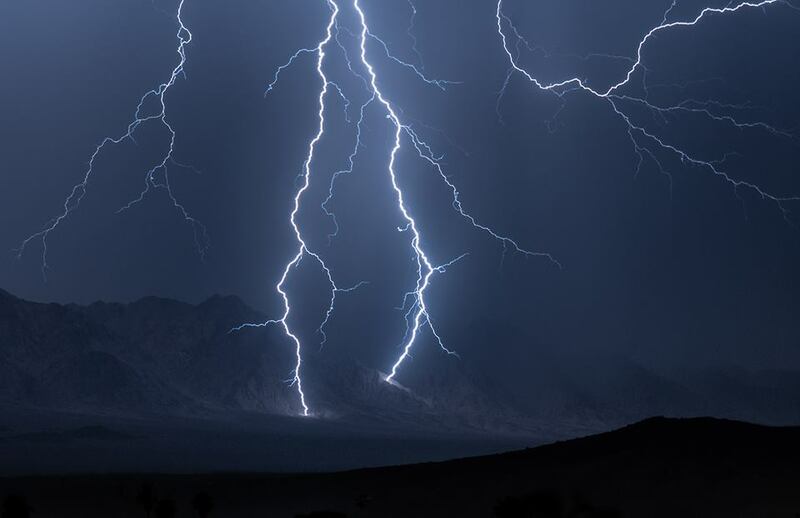 Lisa Manifold, the July Artist of the Month at the Wonder Valley Community Center, caught this amazing display in the wee hours of July 18, 2018. I believe this is lightning hitting the Bullion Mountains in Wonder Valley. Come see Manifolds art hanging at the WVCC through the end of the month.